A convenient to use folding shower stool which can easily be stored away when not in use. 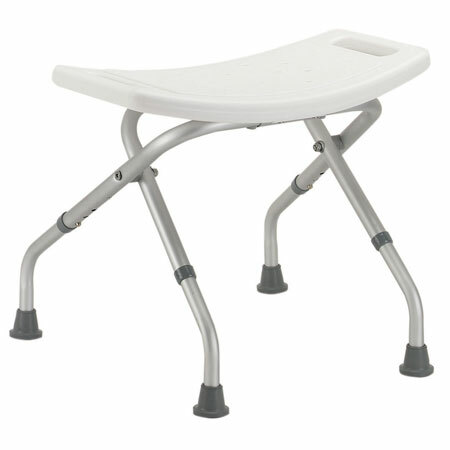 This shower stool has a moulded plastic seat incorporating drainage holes and strong but lightweight aluminium legs. The height can be adjusted between 16 inches to 18 inches.